Historical set during the Revolutionary War—in an America not so beautiful. It’s winter, and what remains of the rebel army is bivouacked in New Jersey, close to Morristown. And close to mutiny. There are reasons: the soldiers are hungry and cold, their clothes in tatters. Routinely, they die from exposure, dysentery, and a variety of other pernicious diseases. They also haven’t been paid in months, and desertions are a daily occurrence. Meanwhile, the Continental Congress, convened in Philadelphia to almost no purpose, engages in a kind of fratricidal war within a war, southern aristocrats and Yankee entrepreneurs sniping and carping at each other, and all of them sneering at George Washington—never mind that he’s the glue that keeps their revolution from flying apart. Four years have passed since the headiness of Lexington and Concord. 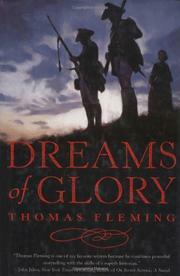 Apathy, cupidity, and defeatism are now rampant, blotting anything good from Fleming’s bleak canvas. Four characters act out most of the dismal drama, all of them gripped by self-hatred and some form of despair: the degraded Major Beckford, chief of British intelligence, matched by the embittered Major Stallworth, his opposite number. Ruthlessly exploited by these cynical spymasters are the beautiful half-Jew, half-black Flora Kuyper, and the disillusioned clergyman Caleb Chandler—the former the unwilling tool of the British; the latter, equally reluctant, pressed into service by the Americans. Scruples have long since become excess baggage; only victory matters, justifying all means that end, a position even Washington accepts. With blackmail, torture and murder commonplace, both armies battle ingloriously, leaving a rooting interest hard to come by. The prolific Fleming (Hours of Gladness, 1999, etc.) has been around for a while, of course, but this manifestation of him may surprise his readers: much better prose, significantly darker view.